People ask if I ever have a writer’s block. My answer is no although I did have one that lasted 25 years. That’s an awfully long time, but I put it to good use. But to inject optimism into this post, the block did break and since then I’ve been writing like crazy and have published three books, including my latest, The Sweet Spot. I discovered my potential as a writer in college, focusing on poetry largely because I didn’t know how to sustain a thought in prose. I am not making this up. Then I started having babies, lots of them by modern standards. I don’t blame my six kids for my writer’s block as I happily spent my creative energy loving and caring for them. Yes, I did make attempts at writing prose and a bit of poetry, a genre I’ve since dropped. I even attempted novels. But, alas, I got nowhere. Funny, I still thought of myself as a writer, so instead I decided to learn how to be one. The first thing I did was read what others wrote. I brought home piles of books from the library wherever we lived. Then I got a job as a correspondent for a daily newspaper in Western Massachusetts. (I had only five kids then.) I reported on the town I lived, Worthington, population about 1,200. It has one store, one stoplight, one church, one school, and one bar. But the hilltown generated a bit of news as I covered government meetings, profiles of interesting country folk, and whatever news, say a house fire, happened. Soon I was covering three hilltowns plus handling regional stories, including one that took me to the White House. 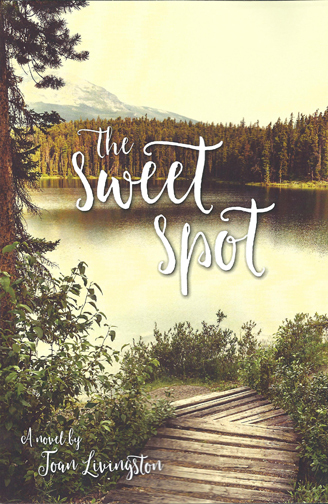 (The hilltowns of Western Massachusetts are the setting for The Sweet Spot.) At first I was paid by the inch, then by the story. Reporting was the best thing I could have done. I listened to the way people talked and watched how they behaved. I paid attention. I wrote that all down. I found stories wherever I went. So when did my writer’s block end? After I became an editor. Being a reporter sucked a lot of my creative energy. Manipulating other people’s writing — I have a light touch — didn’t. One day I began writing fiction, yes, prose, and it became a part of my every day. The writer’s block broke about 16 years ago like an ice dam in a river after a profoundly cold winter. One could say it was the winter of my discontent, with apologies to Steinbeck. Since then I’ve written five adult novels, three in a middle grade series and three in a bilingual series for young readers. Three of those have been published. Currently, I’m in the midst of a mystery (a first solid draft completed) and the fourth in the middle grade series. Thankfully, I won’t experience that winter again. Speaking of The Sweet Spot, here is that novel’s quick synopsis and a link to it on Amazon. Most in Conwell love Edie St. Claire, the widow of a soldier killed in Vietnam, until her affair with his married brother ends tragically. She tries to survive this small town’s biggest scandal through the help of her rough-sawn family and a badly scarred man who’s arrived for his fresh start. 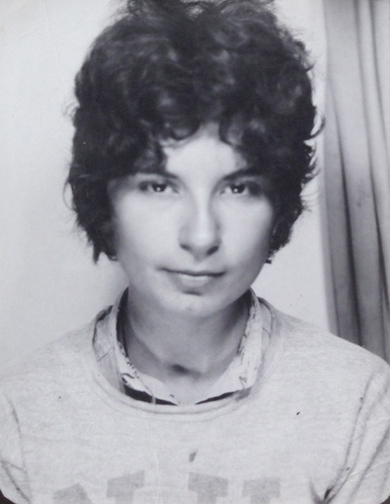 ABOUT THE PHOTO ABOVE: That’s me in college when I was convinced I would be an author.